Top/sleeves are rich black/dark green velvet. 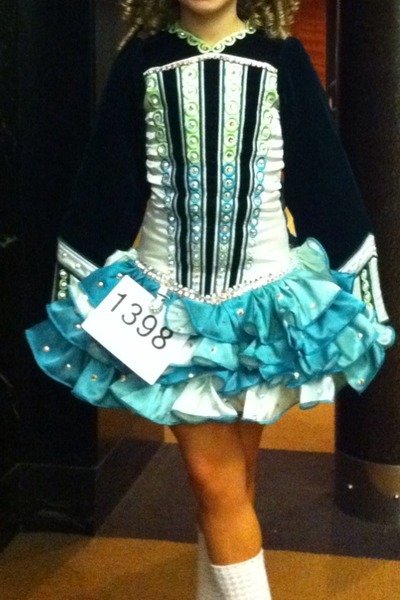 Bodice and skirt are white/teal satin. Adorned with tons of Swarovski AB crystals. Stands out on stage!! Asking Price: $CAD1000 OBO. Shipping costs are included for my own country, overseas shipping is extra. Returns are negotiable.